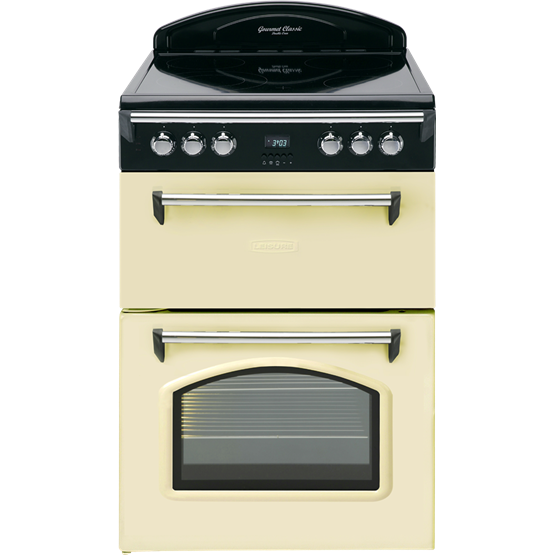 Bringing the versatility of range cooking to those with less kitchen space, this range-style cooker's two separate ovens and ceramic hob provide plenty of room for preparing large family feasts. 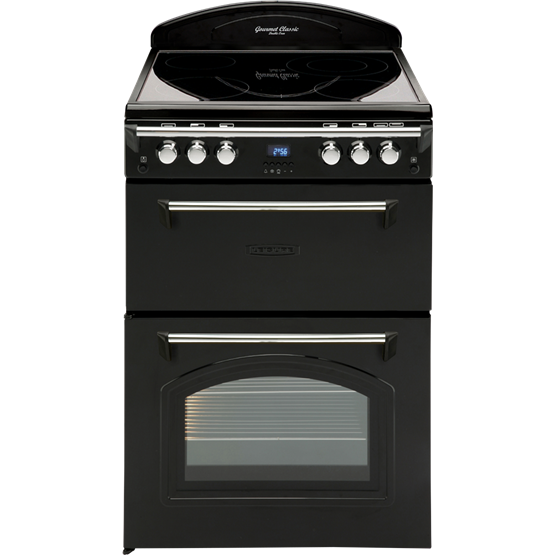 Its main fan oven circulates heat evenly around the oven, providing perfectly proportioned bakes. And, the programmable timer can set the oven to start and finish cooking at a time that's convenient to you, giving you more control in the kitchen. Good Points: Easy to use. Efficient and fast. I love it. Bad Points: Hard to clean the glass tops. Good Points: It looks good and is easy to keep clean. It cooks evenly and the oven is a great size. I like the large grill/roasting pan which fits onto the oven runners. Bad Points: I find the removable grill handle to be very fiddly. I do not like the design of the oven shelves, the front edge is raised so you cannot slide things in and the struts are quite widely spaced so a thin tray put in at an angle can slide between them and get caught. There is really only one small hot plate making it tricky to use small pans. Good Points: Hob light to show when hot. Oven quick to heat up. Looks lovely in small country kitchen. Bad Points: Bar across front gets in the way of the dials. Timer flashes if you accidentally touch one of the buttons and the oven does not go on when this happens. If you don't know this, and think the oven is on it is annoying. I know the oven gas a red light - but the clock/timer is too sensitive and can easily be hit if you hang your oven gloves on the bar across the front.